People sometimes think the Iraqi Dinar will revalue 100 times higher and that the U.S. Dollar will stay that same, unfortunately, that’s not how things work. In order for both currencies to move in the same direction, a clear manipulation must take place. 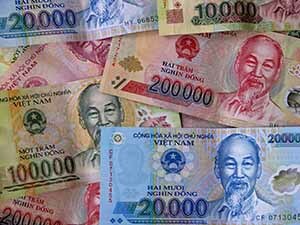 Currencies usually move against each other, during a global currency reset, the Iraqi dinar would possibly go up, but the U.S. Dollar would go down, causing less purchasing power to be achieved. 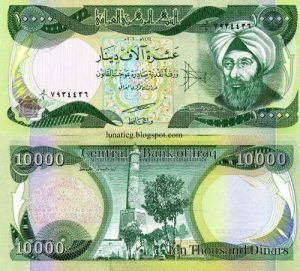 Learn about the Iraq monetary history before you begin to invest in Iraqi Dinars. I would look up Dinarbanker also while you are reading this. If you go here: http://www.bbb.org/sanjose/business-reviews/currency-exchange/dinar-trade-in-santa-monica-ca-100087119 it shows the website for dinar trade as I listed above, however, it only lists 1 employee. I found this quite odd. The other odd thing was that the phone number was different, and the location was different. So even though the BBB listed the dinar trade dot com as the official website, the location was listed as Stuart, FL 34994 on the main website, whereas the BBB listed it as Santa Monica, CA. I’ll leave that up to you to decide. After doing further research, there are actually seven possible cash in locations for the company. Even though I listed the page above on the BBB site that is accredited, there is no rating as of July 2014. It states there are no complaints either. 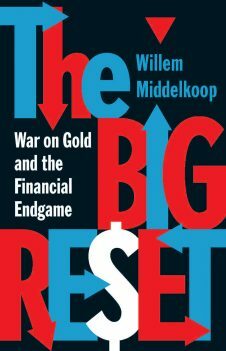 Here is something interesting I found as well, http://www.bbb.org/us/article/bbb-warns-that-iraqi-dinar-investment-is-creating-concerns-and-complaints-690 this is a good read for anyone concerned about the so called Iraqi Dinar Scam. Check out my breaking news page for Updated news Dinar Currency. I think it’s important for everyone to really investigate every company, not just the dinar ones, but every company online. It’s not hard to just search for review, or reviews after the company name, it’s so easy and can save you a lot of problem. I chose to never buy Iraqi Dinar ever again. I got ripped off and I’m done with the dinar as a so called “investement” but that’s my choice. Actually, I haven’t purchased Iraqi Dinars since February, I am instead focusing on gold and silver. But as for you guys, you can buy from anywhere you wish. Always know the current value Iraqi Dinar. There was a dinar trade lawsuit article I found that you might want to look at. The dinar trading scam went around the blog networks around 2012 so many people became wary of buying Iraqi dinar online, so you should be too. Always make sure you shop around and be sure to check prices as each company might try to charge you more. I have never purchased from dinartrade, but I wanted to just show what I discovered. People ask me where I buy Iraqi Dinars from, you can check out the link at the bottom of the page to read my guide. I am not going to recommend this company or any other dinar company for that matter, you need to read reviews of every company you are spending money on. Thanks for checking out my review of dinar trade make sure you look at reviews and prices going forward if you considering getting into this investment. I just want to be stay up to date on the revaluation of the Iraq Dinar. Thanks you.